The two main organizations identified in the UCSF Quarterback study are Americans for Prosperityand Freedomworks. 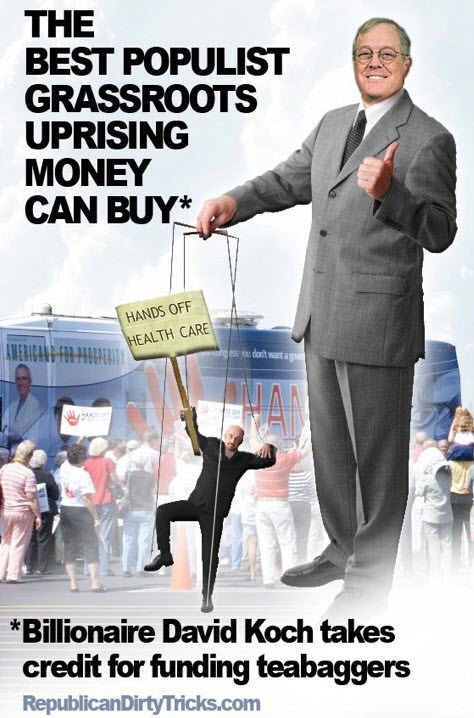 Both groups are now “supporting the tobacco companies’ political agenda by mobilizing local Tea Party opposition to tobacco taxes and smoke-free laws.” Freedomworks and Americans for Prosperity were once a single organization called Citizens for a Sound Economy (CSE). CSE was founded in 1984 by the infamous Koch Brothers, David and Charles Koch, and received over $5.3 million from tobacco companies, mainly Philip Morris, between 1991 and 2004. CSE describes the U.S. 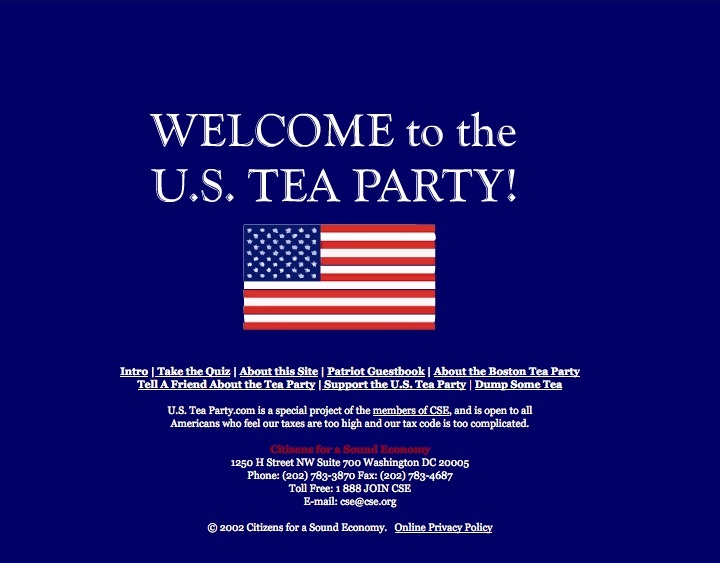 Tea Party site, “In 2002, our U.S. Tea Party is a national event, hosted continuously online, and open to all Americans who feel our taxes are too high and the tax code is too complicated.” The site features a “Patriot Guest book” where supporters can write a message of support for CSE and the U.S. Tea Party movement. Sometime around September 2011, the U.S. Tea Party site was taken offline. According to the DNS registry, the web address www.usteaparty.com is currently owned by Freedomworks. Freedomworks and Americans for Prosperity are both multi-issue organizations that have expanded their battles to include other policies they see as threats to the free market principles they claim to defend, namely fighting health care reform and regulations on global warming pollution. The report’s warning about overseas expansion efforts by Freedomworks should therefore also be heeded by groups in the health and environment arenas.